(JTA) — Republican mega-donor Sheldon Adelson told Donald Trump in a private meeting that the Republican presidential candidate must demonstrate a measure of humility, The New York Times reported. Adelson’s wife, Miriam, also a large donor to the Republican Party, reportedly was at the meeting with Trump on Wednesday. 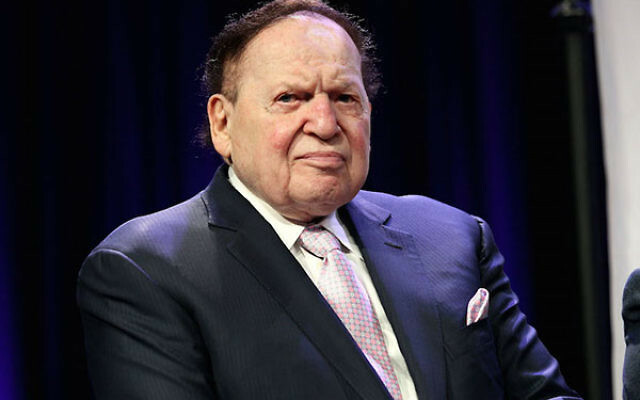 Neither Adelson has contributed to Trump’s campaign, to groups supporting him or to the Republican National Committee since they pledged to support him during a private meeting in May at the same hotel, the Times reported.